TopBox is a Canadian Beauty Box Subscription! For $12 CDN a month with free shipping you get 4 deluxe sample size or full size products. You fill out a beauty profile and get items based on what you have identified. Also, every month you have the option to "wish" for a prive box. This month I wished for a Benefit Prive Box! (I have been secretly dying to try the new gel push-up eyeliner). And yay!!! lucky me - I got the box I was hoping for! 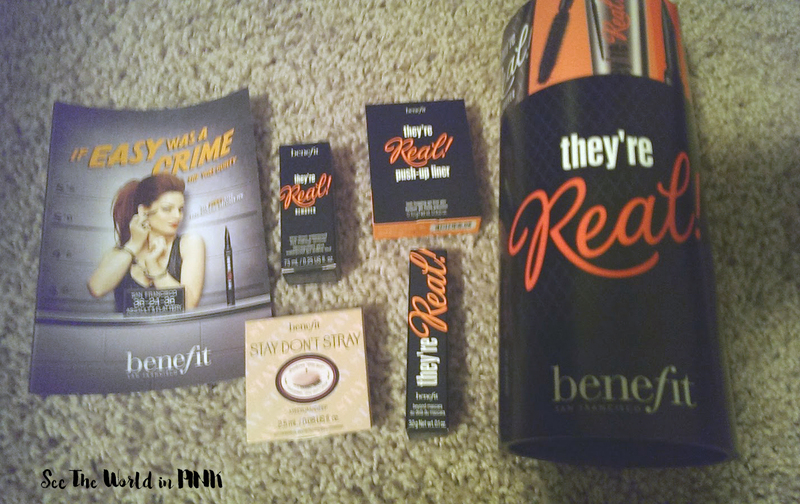 I love Benefit so I am happy to see these goodies! 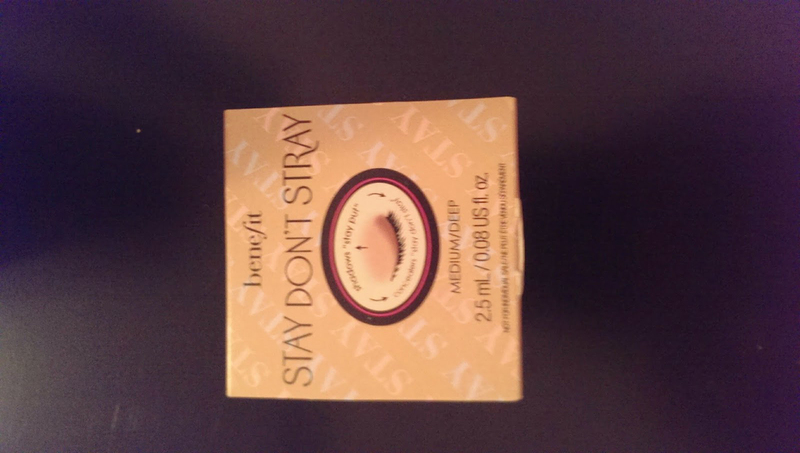 Benefit Stay Don't Stray ~ sample size 0.08 for $7.28 (full size 0.33 oz for $30). This is a primer fro concealers and eye-shadows. The only color I believe it came in for these boxes is medium/deep. I have quite a fair complexion and I did not find this to be dark as well - it worked good. Benefit They're Real! 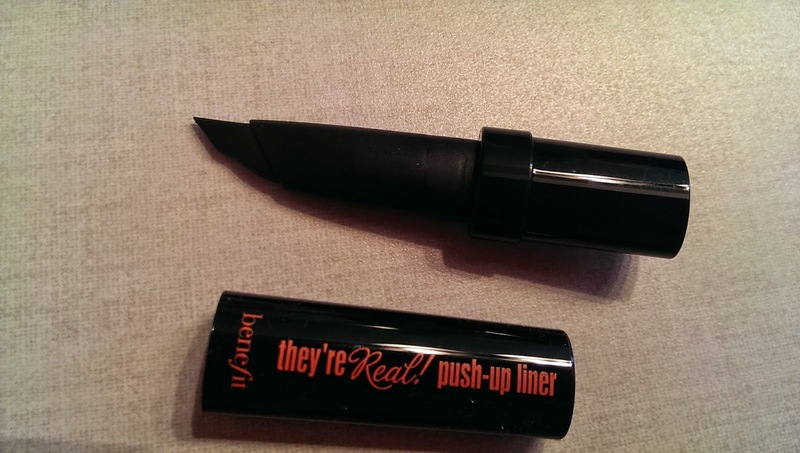 Push-Up Liner ~ sample size 0.003 oz for $2.17 (full size is 0.04 oz for $29) So this is the most talked about product this month - this is just released. It is a new type of gel eyeliner. 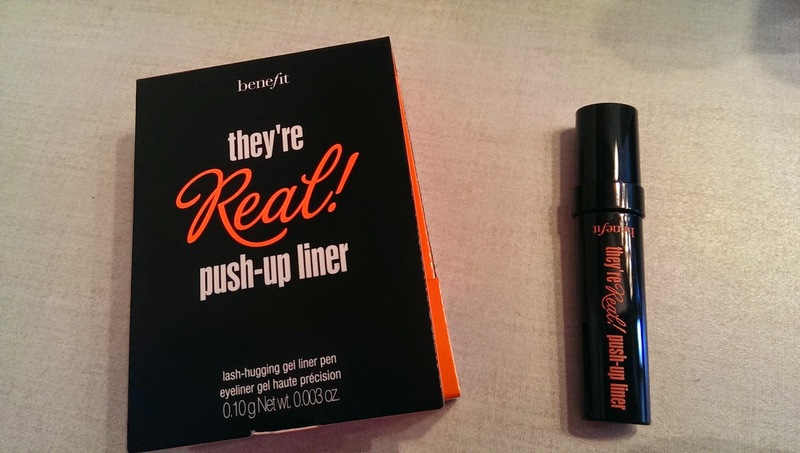 I was really excited to try this product (I wear eyeliner everyday!). 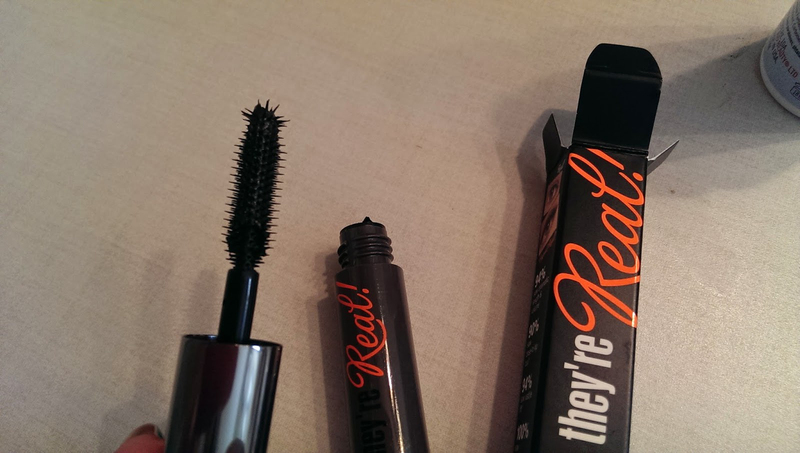 I know the name is a little cheesy and no one is going to ask if your eyes are real from the eyeliner you wear but it goes with the mascara under that product line. 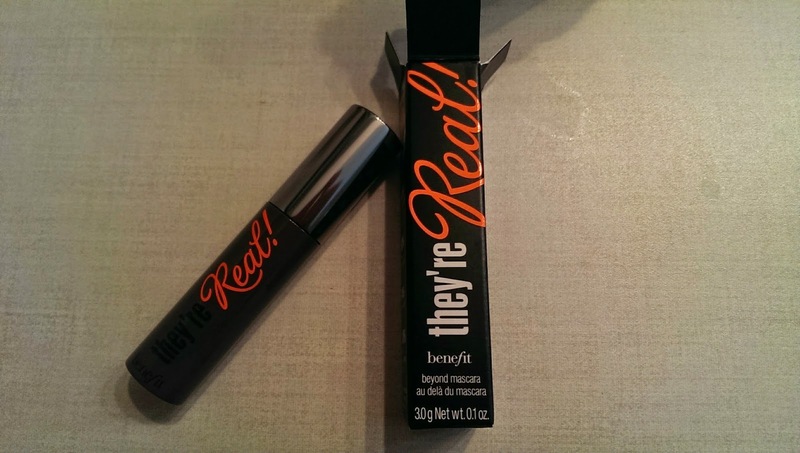 Benefit They're Real Remover ~ sample size 7.5 ml for $3.30 (full size is 50 ml for $22). This is creamy gel eye remover designed to take off waterproof makeup (I used it with the eyeliner as it was definitely an eyeliner that needed makeup remover! This worked well I thought and was a nice formula to use - I really enjoy the gel feel of it! Overall, I do like how the mascara looks on - it might not be enough to convince me to switch kinds because of the brush - but the sample will happily be used! So altogether for $12 I received 4 sample size products for a total value of $24.75. 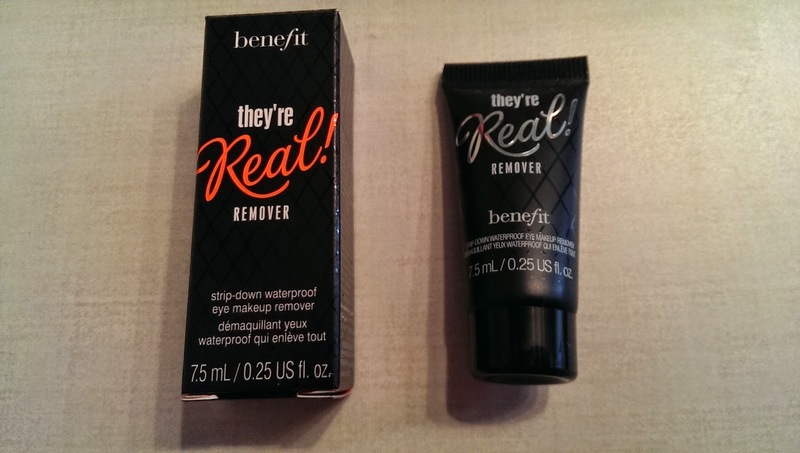 Some of the samples were a little small but I really like Benefit, and liked the idea that we got to try a sample of a brand new item that had a lot of hype! Did you get TopBox this month? And it you did, what was your box like? I read a few reviews where people weren't too happy with the products they have been receiving. I have only gotten 2 topboxes and both have been prive boxes so I haven't got to review a regular topbox - I will try next month for a regular one!